It is no coincidence that Toyota vehicles are market leaders. Compare our lineup of cars, trucks, hybrids, and SUVs side-by-side to see how your Toyota stacks up against similar competitive vehicles, and see what makes Toyota vehicles stand out from the crowd. 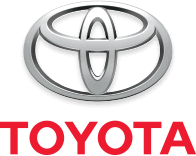 We at Taylor Toyota are happy to show you the Toyota Advantages of each model versus other manufacturers within the industry and you can feel confident selecting the Toyota vehicle that's right for you.